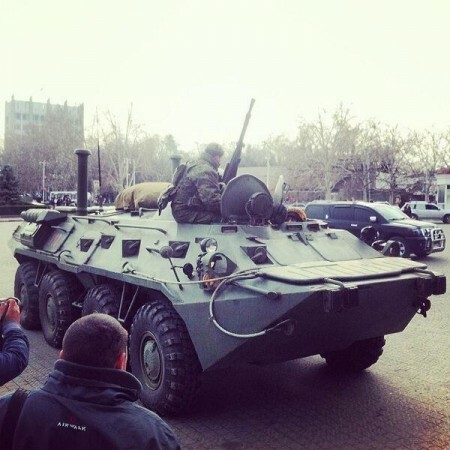 Russian military vehicles have been photographed in the main square of Sevastopol, and there are fears that Ukraine is about to plunge into a very bloody civil war. The pro-Russian eastern half of Ukraine is in a state of shock, and many living there are openly calling on Russia to militarily intervene to protect them against the protest groups that have seized power in Kiev. Down in the Crimea, where approximately 60 percent of the population is ethnically Russian, militia groups have formed to protect their region from the “fascist scum running around in Kiev with swastikas“. That quote is from a recent Time Magazine article, and it demonstrates the extreme level of tension that exists between the two halves of Ukraine right now. Perhaps a peaceful resolution can still be achieved, but at the moment a civil war seems quite likely. And if war does erupt, the truth is that it is going to be exceedingly difficult for Russia to stay out of it.